Calling this one done. Actually quite like the final bit of work on this. The musical symbol is a ‘quaver’, or one with a single flag on the stem. Pretty vibrant effect, don’t you agree? This entry was posted in My paintings, Photography, Process, Recent Works and tagged acrylic, art, CERN, painting, particle collision, photo. Bookmark the permalink. 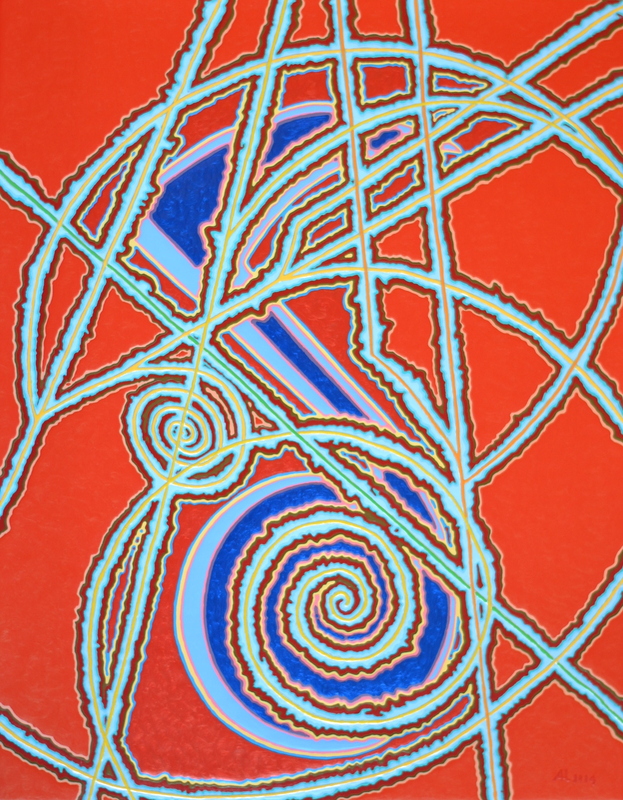 The quivering red and blue lines resemble some music sounds.